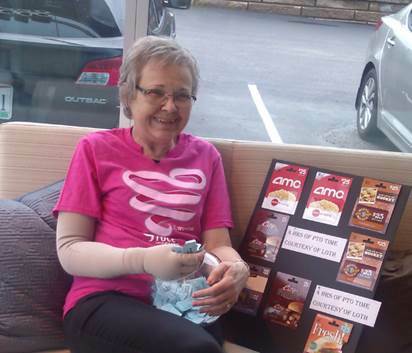 Giving Campaign – May | Race For The Cure - LOTH, Inc. The LOTH Columbus team raised above and beyond their $1,250 goal for the 2016 Susan G. Komen Race for the Cure! It was the coldest race to date, this past Saturday, but it was a great time and an amazing turnout overall. All of the Harley riders showed up with their support as well. LOTH’s part in the race this year was dedicated to one of our own, Bertie. Her photo was included on the Wall of Remembrance at the race.